TORONTO, March 4, 2019 /CNW/ - Havilah Mining Corporation ("Havilah" or the "Company" - TSXV: HMC) is pleased to announce the appointment of Shastri Ramnath to the Board of Directors. The appointment is subject to customary TSX Venture Exchange requirements. Blair Schultz, Chairman commented, "We are delighted to welcome Shastri Ramnath to the Havilah Board. Ms. Ramnath brings a tremendous wealth of industry experience to the Company through her career focused on exploration both in greenfields and brownfields environments. Since 2012, when Ms. Ramnath co-founded Orix Geoscience Inc., she has developed a leading consulting firm in the exploration and mining space with a team of highly respected professionals." Ms. Ramnath is a Professional Geoscientist with over 20 years of global experience within the exploration and mining industry. She started her career at Falconbridge in Winnipeg in 1999 and then moved to Sudbury to join FNX in 2002. She was a key member of the exploration and resource group at FNX and part of the team that discovered the Victoria Deposit. In 2010, Ms. Ramnath joined Bridgeport Ventures Inc. as President and CEO where she raised over $17 million in the capital markets before merging the company with Premier Royalty. In 2012 she co-founded and co-owns Orix Geoscience Inc., a consulting firm that partners with exploration and mining companies to provide front end geological support. The success of Orix in its inaugural 3 years resulted in Shastri being nominated for the RBC Canadian Woman Entrepreneur of the Year for Canada and was one of 3 finalists for the Momentum Award. More recently, Ms. Ramnath co-founded Exiro Minerals, a junior exploration company focused on project generation that combines technology with traditional exploration methodologies. Ms. Ramnath received a B.Sc. in Geology from the University of Manitoba, a M.Sc. in Exploration Geology from Rhodes University (South Africa), and an Executive MBA from Athabasca University. In connection with Ms. Ramnath being appointed to the Board, she has been granted 175,000 options to purchase common shares of the Company pursuant to the Company's Share Option Plan. Such options have an exercise price of $0.36 per common share and expire on March 4, 2024. The options vest as to one-third immediately and one-third after the first and second anniversaries of the date of grant. The grant of options is subject to regulatory approval. 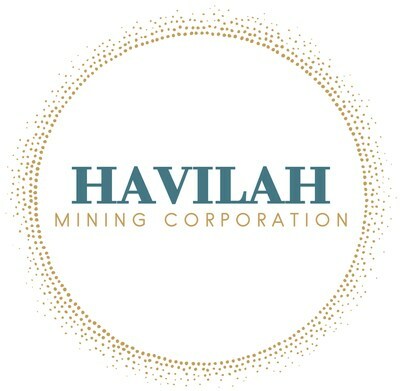 Havilah is a junior gold producer and explorer that owns the True North mine and mill complex, and is currently reprocessing historic tailings on a seasonal basis. In addition to operating True North in Bissett, Manitoba, Havilah holds approximately 53,000 hectares of highly prospective land within and adjacent to the Rice Lake greenstone belt. Havilah believes its land package is a prime exploration opportunity, with potential to develop a mining district centred on its True North facility. The Company also owns the Tully project near Timmins, Ontario, and intends to focus on both organic growth opportunities and accretive acquisition opportunities in North America. Havilah's True North complex and exploration land package are located within the traditional territory of the Hollow Water First Nation, signatory to Treaty No. 5 (1875). Havilah looks forward to maintaining open, co-operative and respectful communication with the Hollow Water First Nation in order to build mutually beneficial working relationships. This news release may contain forward-looking statements. Often, but not always, forward-looking statements can be identified by the use of words such as "plans", "expects" or "does not expect", "is expected", "budget", "scheduled", "estimates", "forecasts", "intends", "anticipates" or "does not anticipate", or "believes", or describes a "goal", or variation of such words and phrases or state that certain actions, events or results "may", "could", "would", "might" or "will" be taken, occur or be achieved. All forward-looking statements reflect the Company's beliefs and assumptions based on information available at the time the statements were made. Actual results or events may differ from those predicted in these forward-looking statements. All of the Company's forward-looking statements are qualified by the assumptions that are stated or inherent in such forward-looking statements, including the assumptions listed below. Although the Company believes that these assumptions are reasonable, this list is not exhaustive of factors that may affect any of the forward-looking statements. Forward-looking statements involve known and unknown risks, future events, conditions, uncertainties and other factors which may cause the actual results, performance or achievements to be materially different from any future results, prediction, projection, forecast, performance or achievements expressed or implied by the forward-looking statements. Although Havilah has attempted to identify important factors that could cause actual actions, events or results to differ materially from those described in forward-looking statements, there may be other factors that cause actions, events or results not to be as anticipated, estimated or intended. There can be no assurance that forward-looking statements will prove to be accurate, as actual results and future events could differ materially from those anticipated in such statements. Accordingly, readers should not place undue reliance on forward-looking statements. All forward-looking statements contained in this news release are given as of the date hereof. The Company disclaims any intention or obligation to update or revise any forward-looking statements whether as a result of new information, future events or otherwise, except in accordance with applicable securities laws.